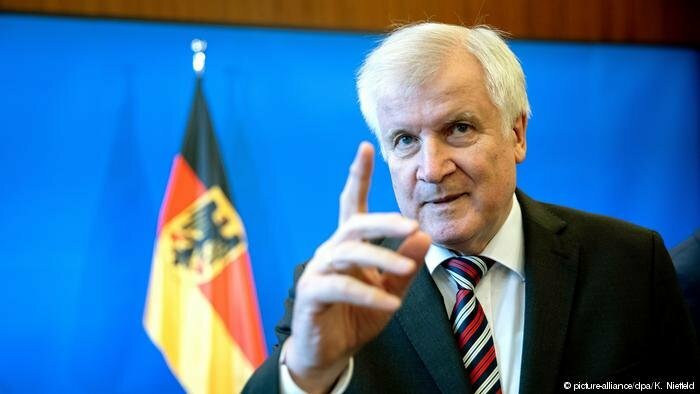 Horst Seehofer has been fond of saying lately that the asylum process shouldn’t work on the principle that “those who are truthful are taken for idiots.” His sentence refers to the fact that sometimes those who are truthful about where they come from are getting sent back or refused asylum quicker than those who have managed to lie their way through the system and pass themselves off as coming from a country to which it is not safe to be returned. Seehofer wants things to change, as of April, and wants to start managing the asylum process more closely. In the new law proposal, he wants all adult asylum seekers to spend 18 months in asylum centers if they haven’t yet received any kind of protection status. Families and minors are expected to stay in centers for a maximum of six months. Anyone who is found to have lied about their identity or is seen to be hindering the administration process, for instance by not providing the documents that the administrators request or refusing to disclose information, will be kept in the centers. The aim is to make it easier for these people to be sent back to where they came from. Recently, the German government has allowed for those who already have a job, even when they have not received any kind of protection, to stay in the country longer. These kinds of rights will be removed from those who are found to have lied, explained Seehofer. Normally those who live in centers of first reception are not allowed to work. This too will change if the government hasn’t made a decision over the applicant’s asylum status after nine months. If the asylum seeker has cooperated with the administrators, they should be allowed to work. This will not apply to people who come from designated “safe countries” like Serbia or Ghana, to where people can be easily sent back. Currently, refugee claims are reassessed every three years to see if people still qualify for refugee protection. In order to avoid an administrative backlog when checking the estimated 700,000 people who arrived between 2015 and 2017 which are now due for reassessment, the government is proposing extending the deadline from currently three years to five years. They say this will avoid the delays which happened when they tried to process the large numbers of people who arrived in 2015. The Left party, Die Linke say that this shouldn’t even be necessary since very few people’s asylum status has actually changed in that short time. Information based on a report from the German news agency dpa.